We work together with clients Risk Assessment personnel, our own Food Scientist supported by Dieticians who formulate sustainable energy solutions through supplementation solutions. Our supplements are created according to the client’s needs as identified through their own or our combined research amongst the workforce. 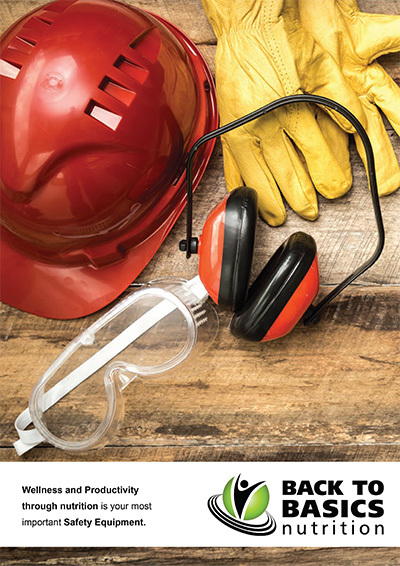 This is critical due to the changing environment and circumstances of the workforces in mining and industry in RSA, the majority of who live offsite and are now responsible for their own accommodation, travel and food consumption requirements. 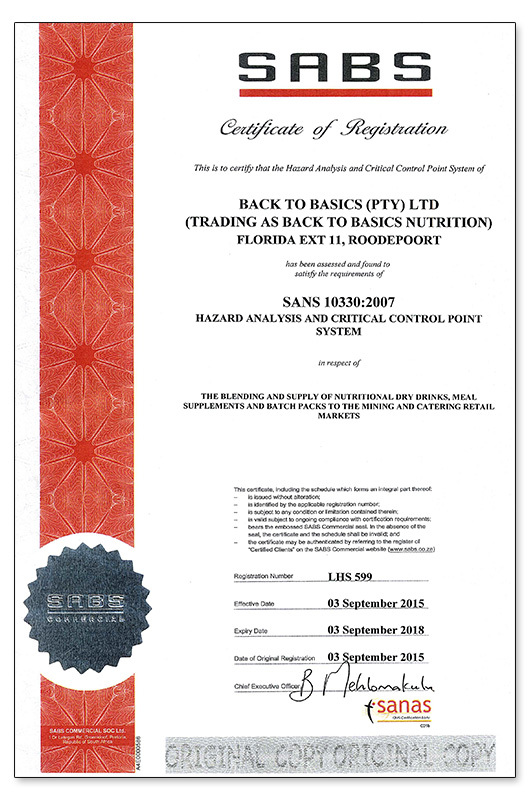 Due to a lack of knowledge with regards to nutritional requirements pertaining to their jobs or a lack of funds or both, it has led to widespread, impaired nutritional status. An incorrect diet impacts negatively the health of the worker as well as productivity. This has led to a substantial increase in occupational health costs of the client as a result of increasing levels of obesity, diabetes, high blood pressure amongst other ailments. Low GI and therefore provides sustainable energy for extended periods to facilitate productivity, whilst ensuring constant improvement of the workers’ general health status. Utilises only medically and dietetically recognizes quality ingredients. That not only contain the required nutrition and energy ingredients but that also taste delicious, and are available in a variety of flavour choices that prevent product fatigue. Utilizing our 20 year plus experience in training kitchen staff in food preparation, compiling of menus to conform to the Comro References 1991 for mine workers, researching multi-cultural flavour preferences, we are able to recognize the shortcomings of what existed in mining and industry, and what is now required in a supplementation programme within the clients Fatigue Management Plan. Our research is continuous, both with our major clients and on our own, which information we share with our clients. Such as the detailed information obtained in the running of Biggest Loser Campaigns, which provides insight into the lifestyle of the participating worker, a true reflection of actual rather than the hypothetical. Communicating with the nursing staff on the ground in the operational environments. Which information is real, and can be transposed to existing and new clients with obvious advantages. Such as finding out that many workers take too much of the wrong type of food to work, High GI carbohydrates, and fats that compound their health status and performance abilities, and in the process we are able to formulate Low GI supplements that control blood sugar level and provide sustainable energy, but also reduce the hunger pangs associated with High GI consumption. THE GOLD RANGE IS FOR EVERYONE! Back to Basics Nutrition supplies sportsmen, women and children with sustained energy supplements to get the best from their training and assist in recovery. Our specialist sports dietician can be found manning the stands offering professional advice. 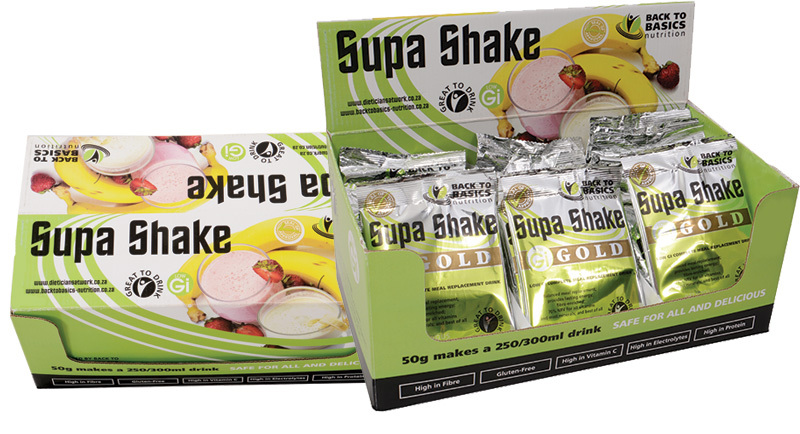 Chat to us about our GOLD range for optimum nutrition. Good health of miners ensures less absenteeism, less injury on duty, improved energy levels, and improved overall morale. All of these factors have a direct impact on improved individual productivity, with incredible benefits to group / total labour force productivity and output. An essential component of ensuring good health is provision of correct and appropriate daily nutrition. 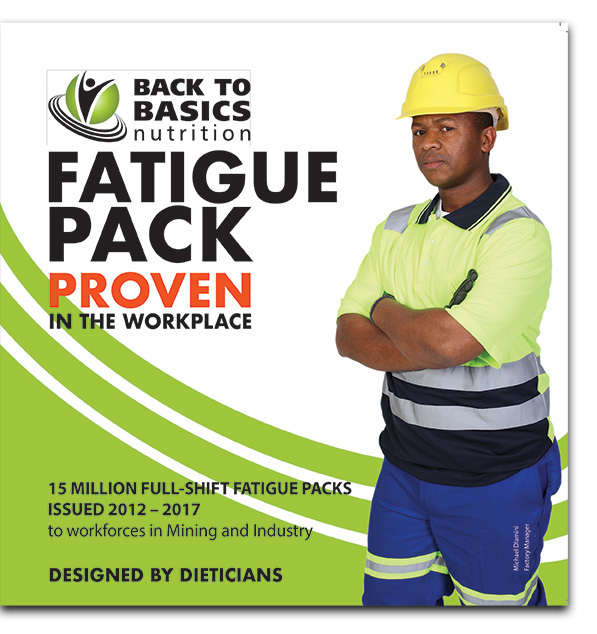 Back to Basics Nutrition has been supplying multiple major client workforces across the mining and industrial sectors involving millions of nutritional packs being distributed. Our clients are available to vouch for our performance and ethics, but more importantly the workers satisfaction with our supplements.